According to the Environmental Protection Agency (EPA), air pollution is the collection of pollutants found in the air we breathe today (ozone, nitrogen dioxide, particulate matter, sulfur dioxide, lead and carbon monoxide being the six primary pollutants). 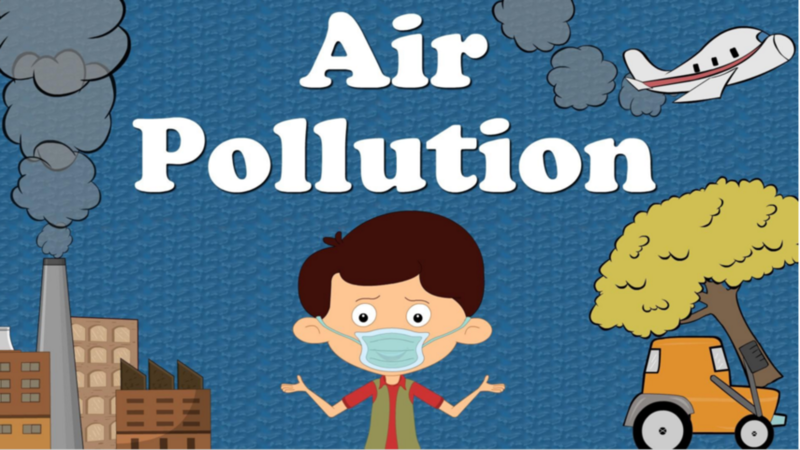 Air pollution is also divided into two categories: ambient air pollution and household air pollution. Ambient air pollution refers to the pollutants present in our surrounding environment (such as the quality of the air in a particular city or region). Household air pollution refers to the quality of the air in an enclosed space like a home or workplace. Who contributes to air pollution and how? Tobacco smoke, smoke from open fires, mold, and chemicals from household furnishings, products and fabrics contribute to the air quality of enclosed spaces. Without an indoor monitoring system, it is difficult to gauge the chemicals and pollutants in the air, which is why health professionals advise all property owners to purchase instruments that can measure air quality like a carbon monoxide detector. Globally, mobile sources (motor vehicles) and stationary sources (e.g. factories, refineries, power plants) contribute to air pollution depending on how a country regulates greenhouse emissions. According to the World Resource Institute, China, the United States, the European Union, India, and Russia are the worst offenders; China alone accounts for almost a quarter of all greenhouse gas emissions in a given year. The effects of short exposure to air pollution are usually mild: headaches, nausea, rashes, coughing, and dizziness are common symptoms. Unfortunately, extended exposure is often difficult to avoid and more threatening; the more exposure you have to air pollution, the greater chance you have of developing adverse health effects like cancer, kidney and liver damage, birth defects and nervous system damage, to list just a few of the poor health consequences. On a global scale, over 3.7 million deaths were attributed to ambient air pollution in 2012, and 4.3 million to household air pollution, according to the World Health Organization (WHO) ( 6, 7). Reducing global emissions may be too vexing a problem for just one person, but everyone can use a few basic tools to stay informed, remain safe and promote positive change. Keeping a lookout for air quality forecasts on the TV and radio requires little time and can save your life in the long haul. Monitoring the levels of harmful air pollutants should be as much a priority, if not more so, than structuring your day around the temperature. Additionally, monitoring your own habits can reap dividends in money saved and resources reduced. Reducing electricity consumption, carpooling to work, and installing filters in your vehicle and house can reduce your carbon footprint drastically, and could save you thousands of dollars over the years. Also, be sure to avoid harmful practices like burning trash and wood, as these are some of the worst contributors to pollution in poorer countries. If you have the time and energy, pressuring your local and national government officials to adopt clean air policies will make the greatest difference on the global scale. Sending a quick email or call could be the difference between supporting a health policy and ignoring it completely. Finally, if all else fails, you can purchase air masks and particle respirators online or at local department stores. These devices can usually filter out the majority of harmful chemicals and pollutants, and can help you breathe easier.